Roger Burton studied winemaking at Stellenbosch University. After graduating he set off overseas to get some new perspectives. His travels took him to Australia, Germany, France and USA, before settling down and completing his winemaker's apprenticeship at Buitenverwachting. It was here, under the watchful eye of master winemaker Hermann Kirschbaum, that he developed a deep understanding of wine making in the Constantia Valley. His next stop was as winemaker at Tierhoek. Here in the mountainous region of Piekenierskloof, Roger experienced the concept of terroir, along with the notion that in winemaking, less is more - if you have good grapes. After 6 years at Tierhoek, he returned to Cape Town to follow an alternate passion - beer making. It was not long however, before the wine bug bit again. When Roger got wind of the fact that Nova Zonnestraal was looking for a winemaker, he couldn't resist the temptation to put his skills as an experienced Sauvignon Blanc vigneron to the test again. Roger was appointed in 2013 and an agreement was entered into with Steenberg for him to make the Sauvignon Blanc in their cellar. 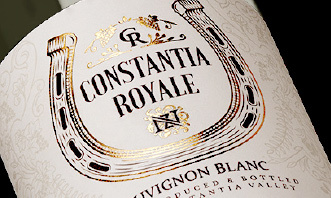 Roger looks forward to producing world class Sauvignon Blanc with integrity and character.